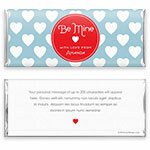 Share the love with this sweetly simply Valentine's chocolate bar wrapper. 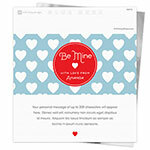 Design: Heart background pattern with a circle medallion. Personalization: Front medallion, back message.